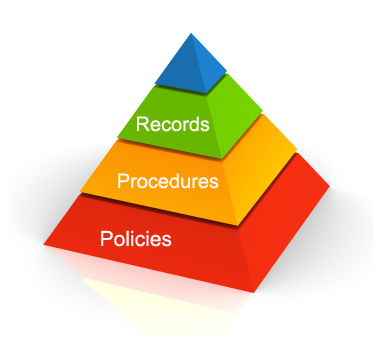 How did you create your policies and procedures? If you’re like most PMCs, you started with a template from a national organization and inserted the name of your center and did the same thing when you transitioned into a medical clinic. Do we need this policy? While templates provide a great starting place, they can also result in the leadership not thinking critically about the unique setting of their PMC or taking ownership of risks, compliance to best practices, operational success, and how policies and procedures can be used to generate continuous improvement of their clinic. While Sparrow Solutions Group has developed a set of policies and procedures based on the AAAHC accreditation sta ndards, our Policies and Procedures training does more than just give you another template to follow. AAAHC accreditation means that the organization participates in on-going self-evaluation, peer review, and education to continuously improve its care and services. Therefore, Sparrow’s Policies and Procedures training guides the clinic leadership in assessment training to evaluate existing policies and procedures as well as training to develop new ones. Sparrow’s Policies and Procedures course will not only enhance your PMCs ability to deliver high-quality patient care and ensure compliance, therefore limiting risks, it will also lay the groundwork for AAAHC accreditation. Click here for details on printable pdf. The mission of Sparrow Solutions Group is to educate, advise, and support pregnancy medical clinics. Links provided to other websites are for convenience and informational purposes only; they do not constitute an endorsement or an approval by Sparrow Solutions Group of any of the products, services or opinions of the corporation or organization or individual. Sparrow Solutions Group bears no responsibility for the accuracy or legality of the content of the external site or for that of subsequent links. Contact external site for answers to questions regarding its content.